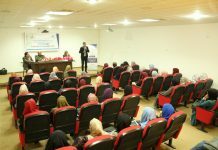 In cooperation with Islamic Relief and WAC, NSDL conducted a workshop entitled, “Gender Based Violence”; an activity within the project of ” supporting livelihood of crisis-affected people in the Gaza Strip”; “money for work”. Ms. Haneen Herzallah, from WAC, managed to run the meeting. 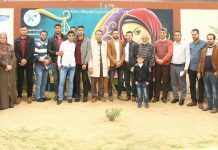 A group of the project beneficiaries attended the session from Rafah governorate. According to the fact that they live in sporadic places where there is an obvious economic deterioration, rates of violence on vulnerable groups is increasing remarkably. 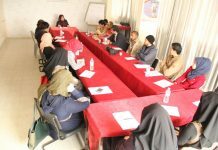 Thus, they show their interest in such workshops, which may help to raise their awareness considerably. 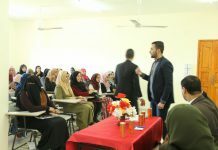 At the end of the meeting, the attendees were given the chance to raise their inquiries, which were answered and discussed later.